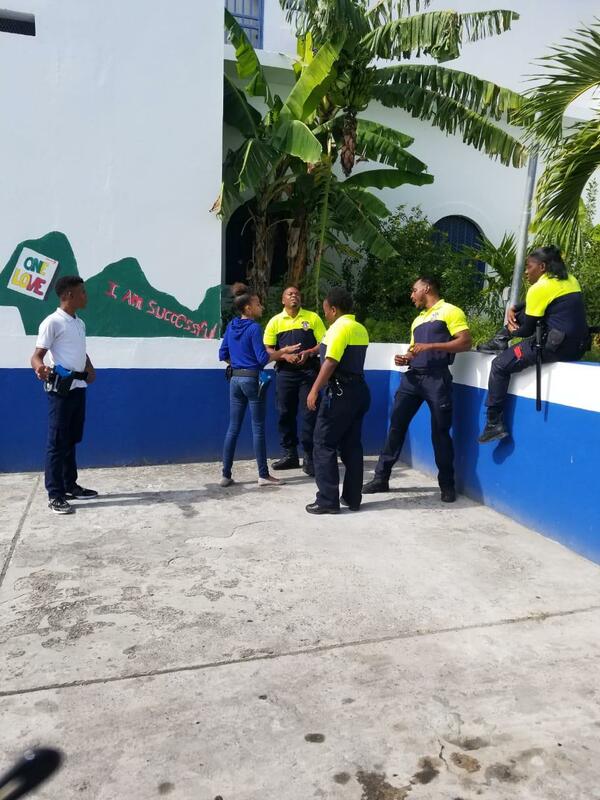 PHILIPSBURG — On Thursday 17th January 2019, the Sint Maarten Police Force in cooperation with the St. Maarten Academy P.S.V.E section successfully concluded their Teens and Police Service academy program (TAPS). This eleven week program, which was headed by Community Police Officer Josepha with assistance from various other officers within the department, commenced back in October 2018 with the goal to help bridge the gap between KPSM officers and at risk youths on the island. It provided a better understanding on what it means to be a police officer through scenarios and specific topic areas associated with children and youth safety. Among some of the topics discussed with the students were conflict resolution, what to do when stopped by a police, drug use and sales, what happens when you are caught stealing, school fights, how to conduct yourself on social media and loitering. Each theory was followed up by a practical scenario. The students were given the opportunity to play the role of an officer at the scene of a crime while the officers took on the role of the suspect. At the end of the program each student got a chance to express their initial feeling about becoming an officer verse how they felt after completing the program. After doing the scenarios of role reversal the students now understand that being an officer is not as easy as it may appears to be and it takes a lot of discipline. The TAPS program was deemed a success and will be followed up with Cops and Kids which is aimed towards the primary school level. The Cops and Kids program is sleighed to begin in February 2019 with the participation of five different primary schools on the Dutch side of the island. 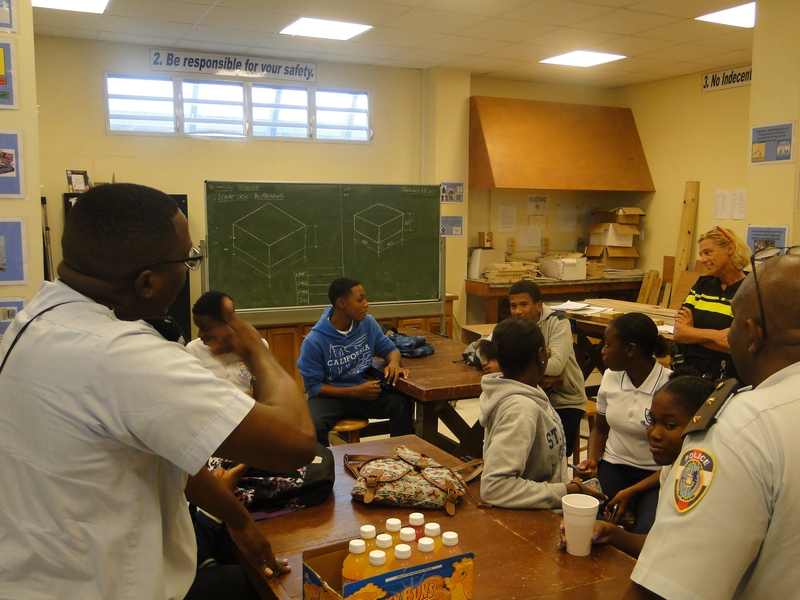 The Sint Maarten Police force would like to thank the St.Maarten Academy P.S.V.E. students and teachers as well as all officers who took the time out to ensure the 2018-2019 TAPS program was a success.